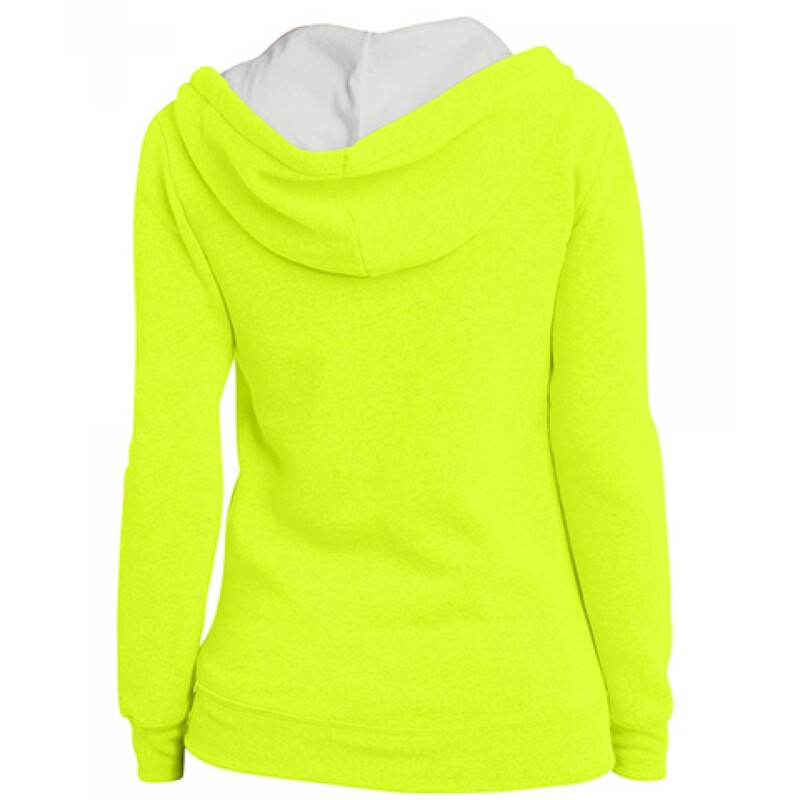 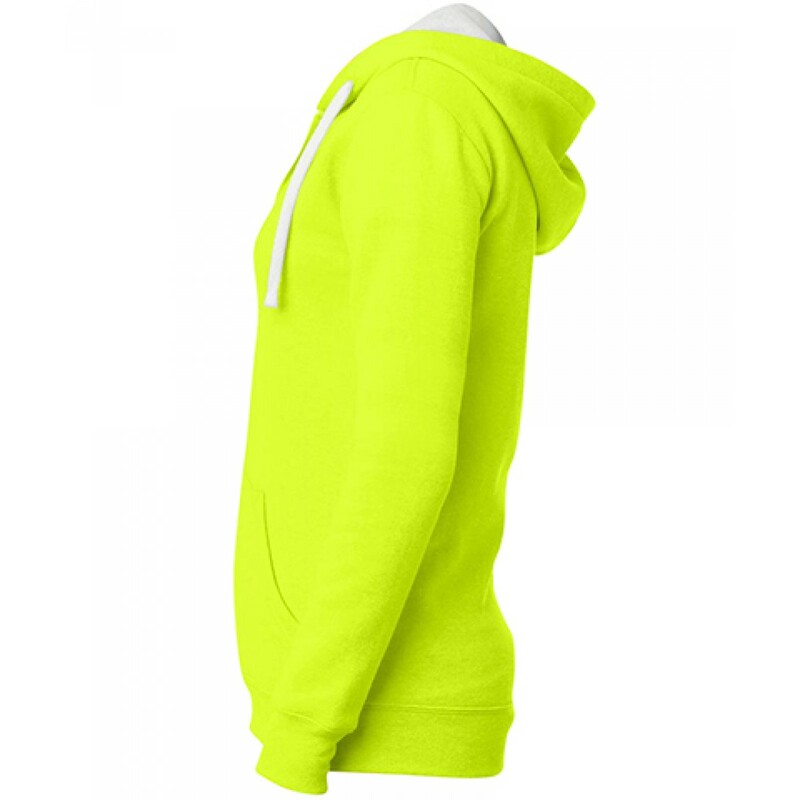 50/50 cotton/poly fleece Juniors Full-Zip Hoodie is with white contrast on neon colors is a fashionable, yet comfortable apparel. 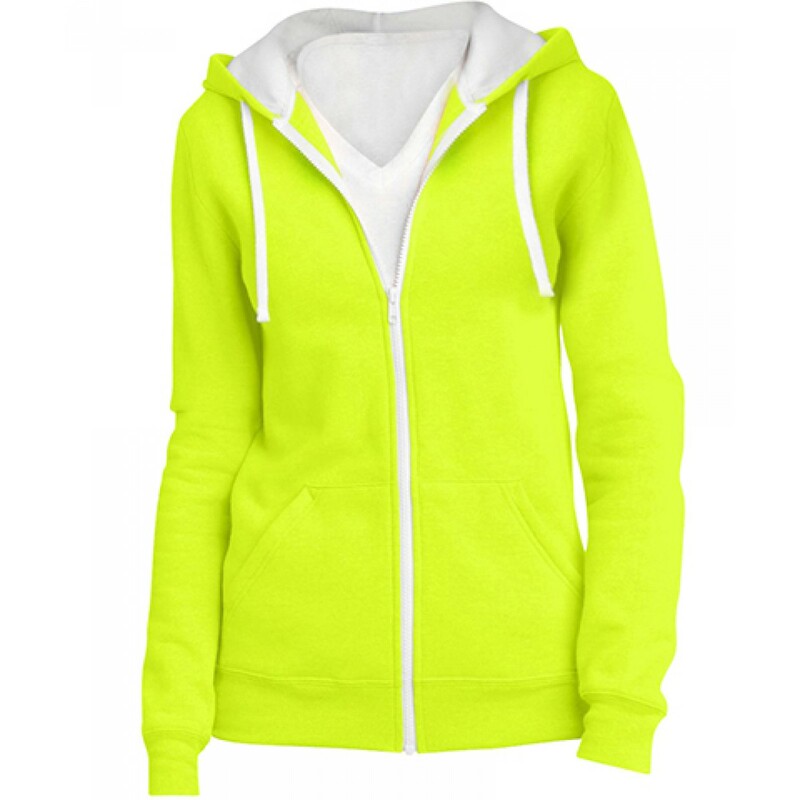 It always bring prestige and recognition to the event when customized. 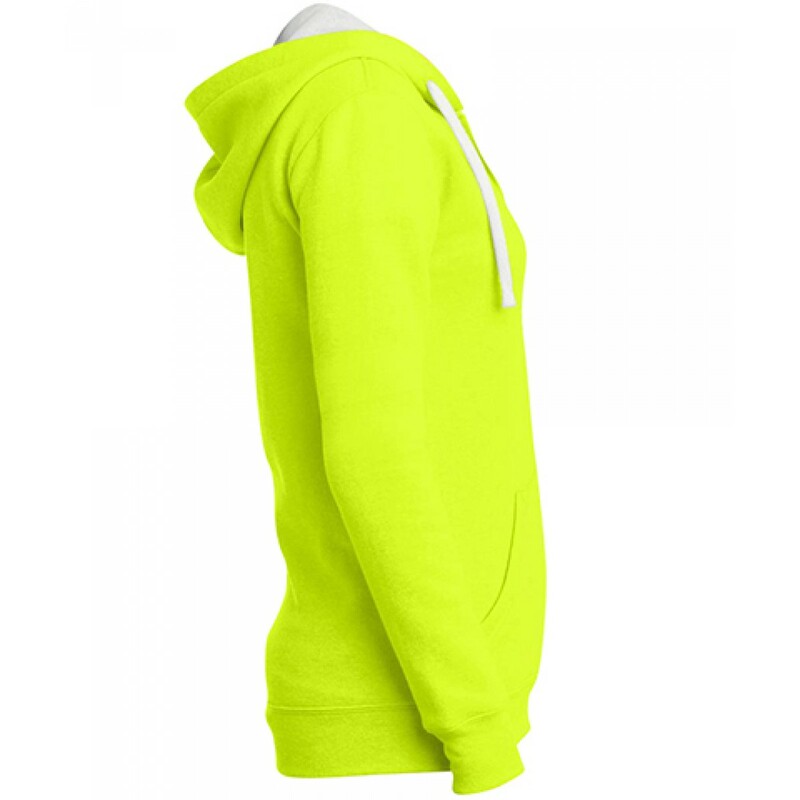 The color brings a bright accent to the logo or design of your choose when you customize the hoodie.